Baylor DPS has a FREE and simple process that can be completed from your cellphone! Register and Tag by the week before Spring graduation. 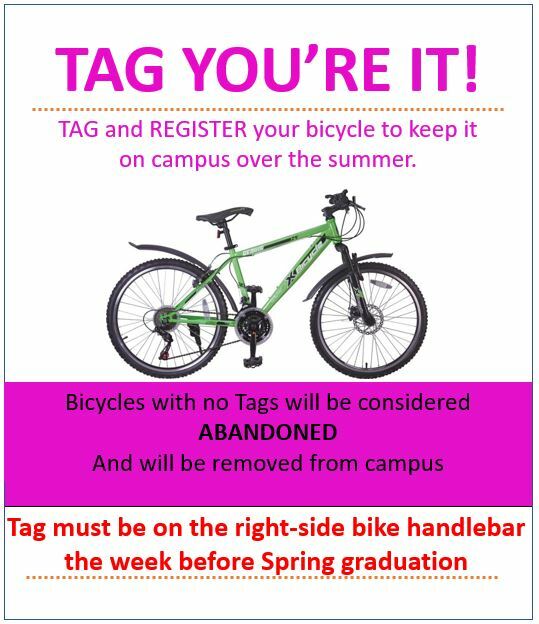 Tag must be on the bike to avoid being removed from campus during the summer. Pick up your tag at Parking Services in the Speight Parking Garage. Tags available starting in April.